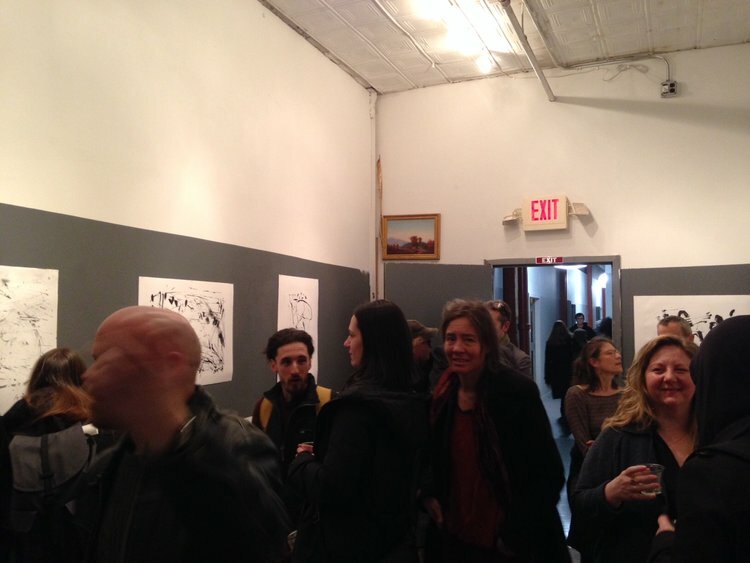 We had a fantastic opening reception for Buenos Ares, Argentina-based artist Alejandro Avakian on January 6th. 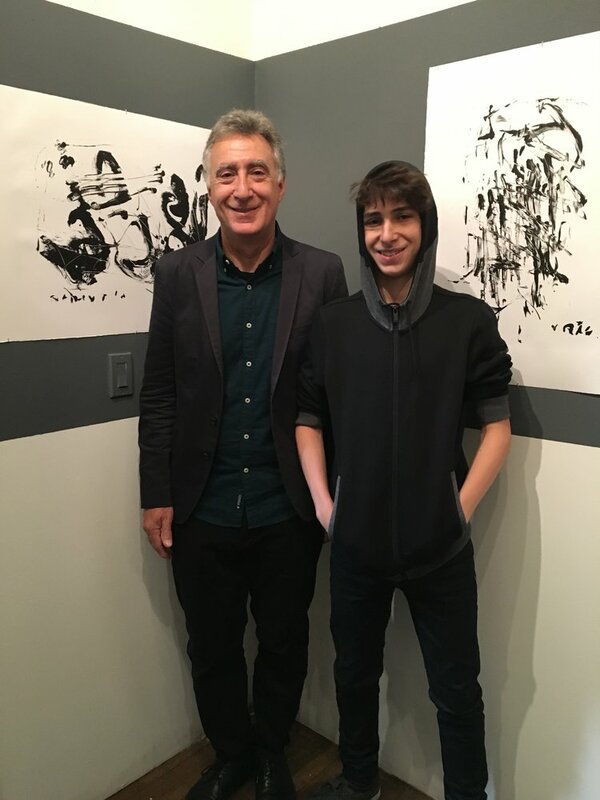 More than two hundred people stopped by to check out his new portfolio of stone lithographs pulled at Robert Blackburn Print Shop in Manhattan. The exhibit will be on view during regular hours and by appointment through March 5th. Alejandro Avakian is a painter’s printmaker. His first practice is to apply oil to canvas, and only later does he move to the lithographic stones and paper. His monochromatic stone lithographs are highly expressive and determined very much by action. Like a dancer, he uses his whole body in the service of mark making. He is engaging the underlying youthful force within himself to pull the elemental and primal into the world. But these are not simply subconsciously reflexive marks. He is allowing the existential and fundamental experience to supersede formal considerations. Just as a jazz musician is free to step out in front with a solo composed in the moment, so Avakian knows exactly where the chord progression and rhythm are leading him as they inform his next passage. Alejandro Avakian was born in Argentina to Armenian transplants. he has lived as a citizen of the world for much of his life, and the exposure to European classicism, South American colonialism, and American modernity has given his work a timeless and universal quality that remain vital and important. This new portfolio of work was produced during his stay in Brooklyn during 2016, and was hand pulled at the Robert Blackburn Printshop in an edition of 20 sets.